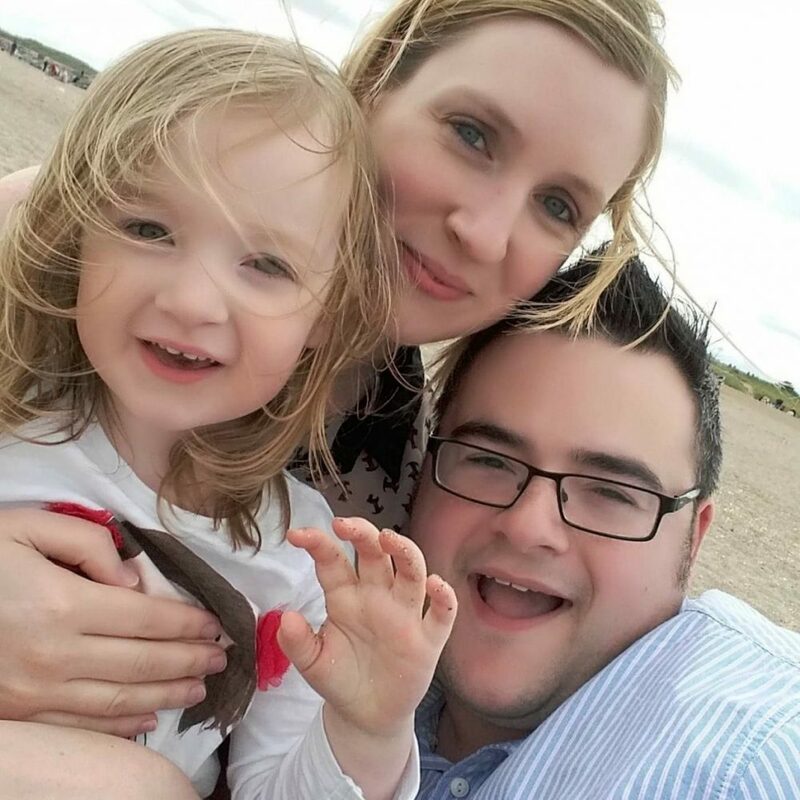 As a mum we usually come quite far down the list of priorities when it comes to the family. I know I’m always the one to eat last, would rather the girls have everything they need, and certainly don’t spend much money on myself! However, it doesn’t mean that we don’t want to or need to look good! Now that Lottie is 14 months old, I have started paying a bit more attention to how I look and what I wear. I enjoy clothes shopping (but only online!) and have bought a few new outfits in recent months. 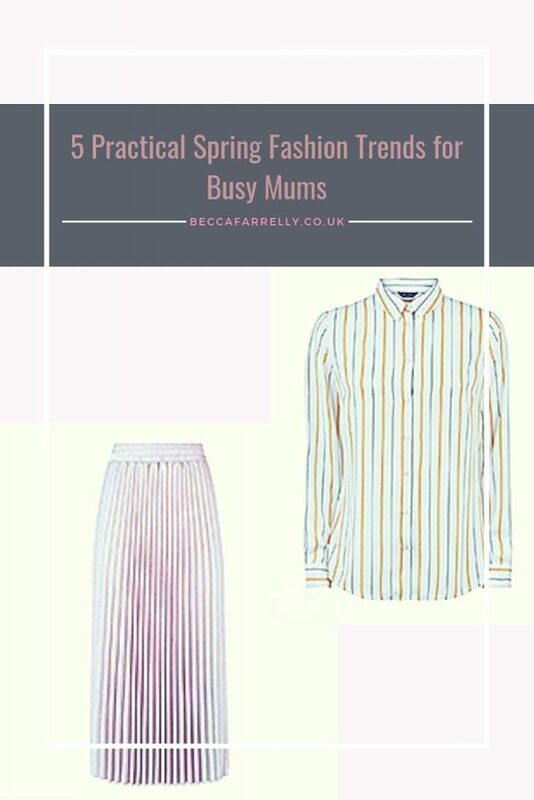 I thought I would pop together a bit of a list of the latest trends to look out for this Spring but not only that, show you the trends that can be worn by mums like us, busy parents that want to look good! For me, clothes need to be practical in the daytime for running around after 2 children but in the evening, I need to look sophisticated and smart. For me there is no point in me wearing skyscraper heels or jeans that are too tight to get up and down off the floor in! Fashion this season is all about femininity and female empowerment with pastel colours and utility style dress. Wanting to dress confidently and comfortably at the same time. Key pieces include comfortable tailoring, longer skirt lengths, and relaxed outerwear. 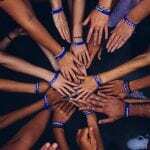 So here is my pick of 5 practical, yet fashionable trends for Spring! Perfect for day to day wear when your busy food shopping or at a soft play, flat shoes are a god send! Not only are they comfortable for running after toddlers in but they can also save little fingers from being squashed! 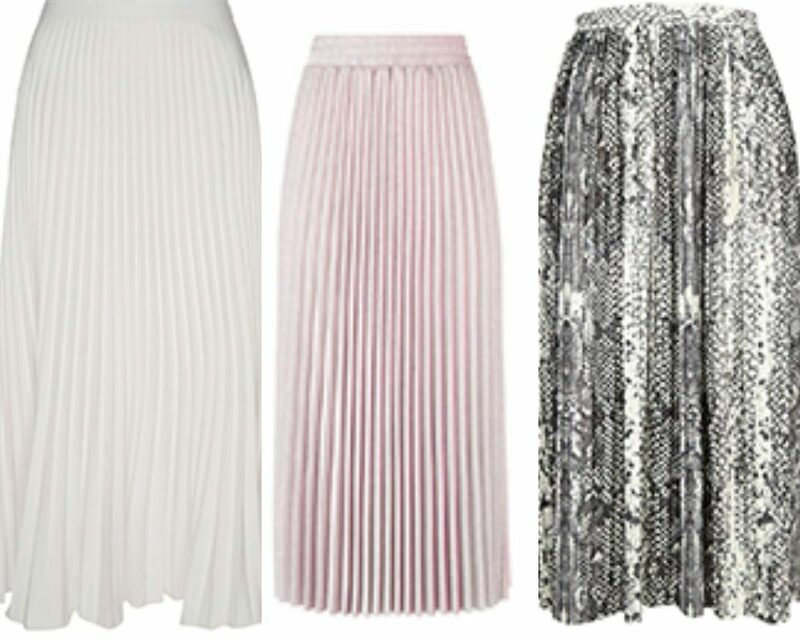 I love pleats. They can be dressed down in the daytime for a lunch play date or dressed up in the evenings for a date night. Longer lengths are great for pre-tanning seasons and the pleats hide any lumps and bumps you may have post-pregnancy. Let’s face it, here in the UK we know a thing or two about rain! 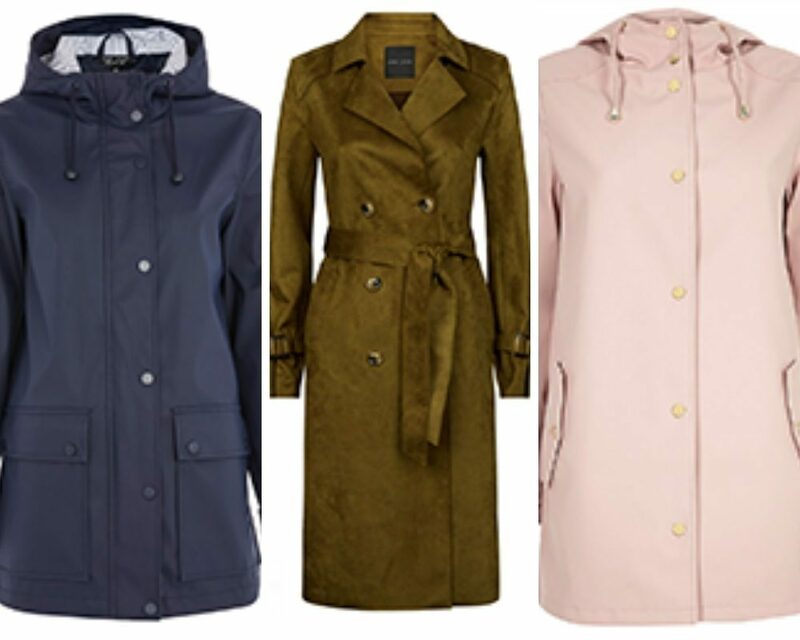 With Spring it can be beautiful and sunny one minute and chucking it down with rain the next, so a handy waterproof jacket is just what you need in your bag! 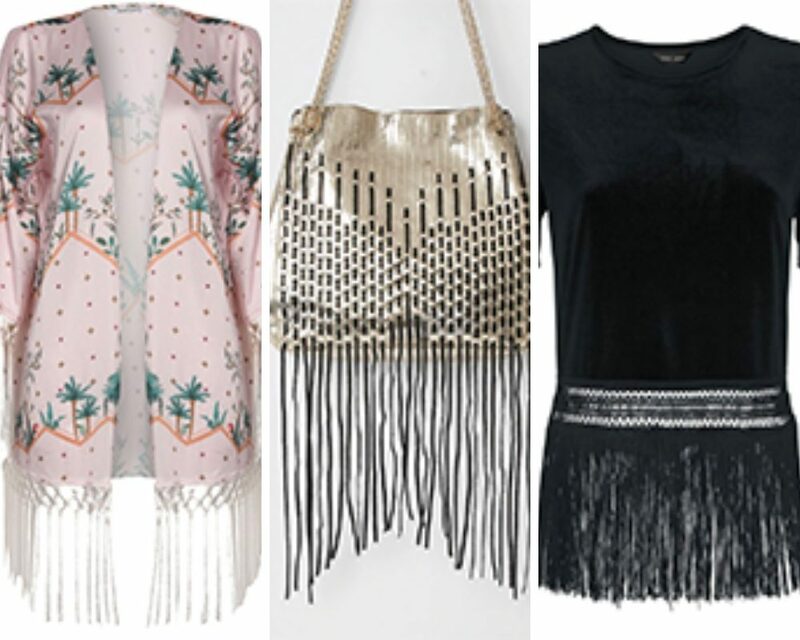 I’m not a huge fan of fringing however they can look fab on a day jacket teamed with jeans and pumps or on a handbag for a night out. I love a good tailored jacket and it can make an outfit look fantastic! Get it right with a pair of thigh hugging jeans and heels and you have a great date night outfit! 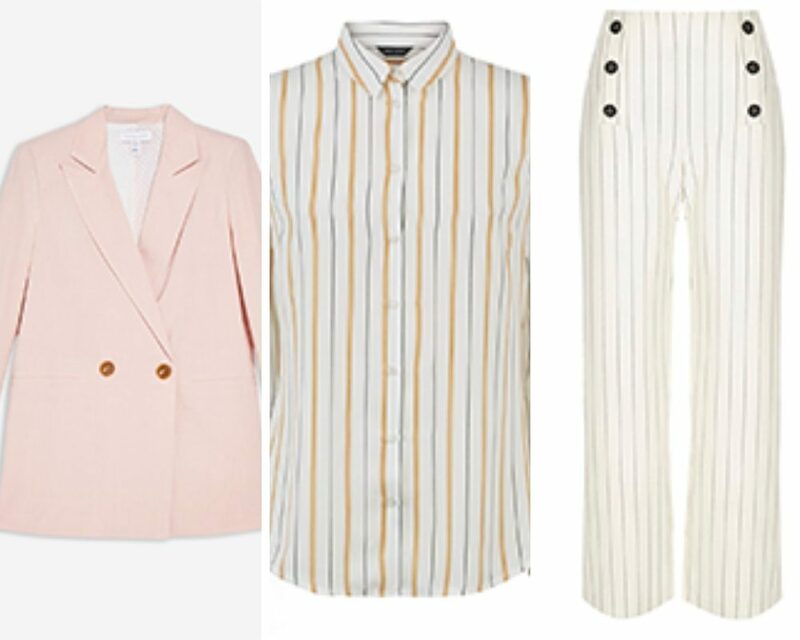 With pastels being the colours of the season, why not try a gorgeous pink jacket over a crisp white shirt and colourful shoes? Which of these trends will you be buying up this season? Have any of the items featured taken your fancy?